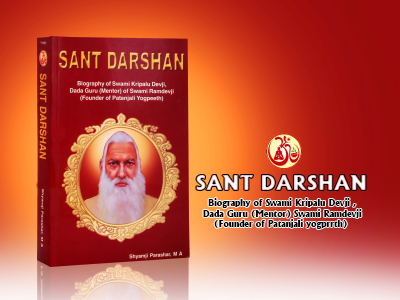 Sant Darshan : Swami Ramdevji's centre of activity, Kripalu Bagh Ashram, Kankhal was established in 1932 by his guru, Swami Kripalu Devji - who was the divine light and saint luminary of his times. The multi-faceted activities of this ashram are reflective of the multi-dimensional personality of Swami Kripalu Devji. He was a detached ascetic and a spiritualist. However, he had great love for the country, religion and culture. 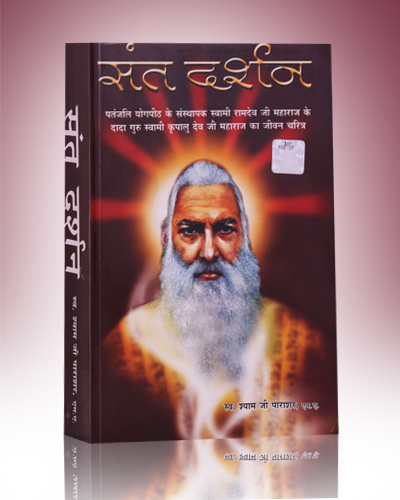 He was deeply devoted to the Ganga river, and the Geeta (the religious book of Hindus) and the cow. His life had been devoted to God from the time of his birth. He delv~d deep into the spirit to discover the mysteries of life. He was a very bold and daring person who enjoyed playing with dangers. His life was full of miracles. His life was elevated from the desires for son, wealth and fame. He never tried to propagate himself. He was devoted to yog practice and at the same time worked actively to open schools, a library and reading room. 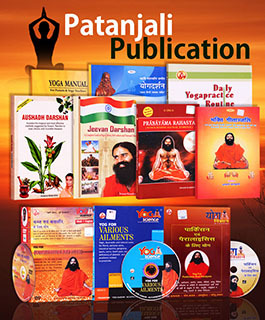 He published a journal 'Vishwa Gyan Patrika' as well. He wrote poetry and prose. He fought for the protection of the cow and against communalism. His contributions to the freedom strugÂ­gle are valuable. His life is not only excitingly adventurous but also very inspiring.